A hectic schedule and a badly sprained ankle prevented Janet Baumann from exercising caused the 5’6” engineer from Las Vegas to pack on the pounds her senior year of college. After graduation, and especially during the first 2 years of her deskbound career, her weight gain escalated. She hit her peak weight in 2001—the same year her father was diagnosed with type 2 diabetes. The culprit? His weight. After making numerous dietary changes, he dropped 30 pounds. Janet, whose health had always mirrored her dad’s, didn’t see the point in being overweight only to be diagnosed with diabetes at retirement. 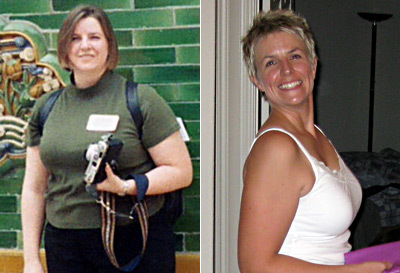 “Why not make the changes now, and be skinny and active for the next 30 years?” she wondered. Janet became a faithful follower of Weight Watchers. “I went home after my first meeting and threw out all the junk food in my pantry.” She started cooking more, particularly on the weekends when she isn’t tired from work. 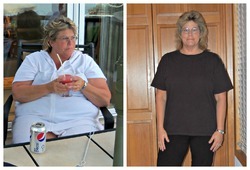 She also eliminated soda and fast food from her diet and started storing snacks in small portions in the refrigerator so she can grab them on the go. Knowing she has to pair exercise with healthy eating habits to maintain her weight, she has taken up fun activities such as hiking and Zumba. Social eating is her Achilles’ heel. “Heaven forbid I just sit and talk to my friends without nibbling on an appetizer,” she says. But to stay motivated, she focuses on the things she wants to learn, such as skiing. Then she reminds herself that simply walking up a flight of stairs left her breathless when her weight was at its peak. 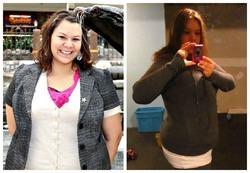 ← Previous Story Weight Loss Success Stories: Almost 280 Pounds On These Three Weight Loss Blogs You Should Read!